The walls of a child's bedroom are the perfect place to explore fantastical flights of fancy. A quick paint job, some decals or a few sturdy accessories can turn some rather ordinary walls into a magical world in a young child's eyes. 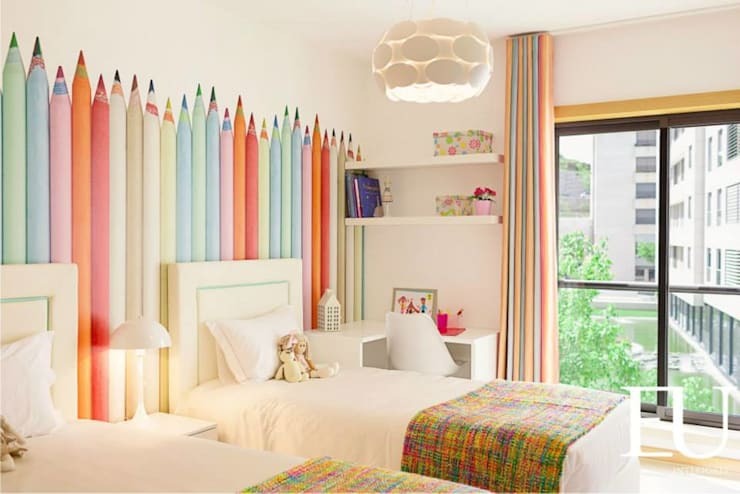 We have lots of colourful and creative children's bedrooms here at homify. So we've collected 9 examples to get you started. 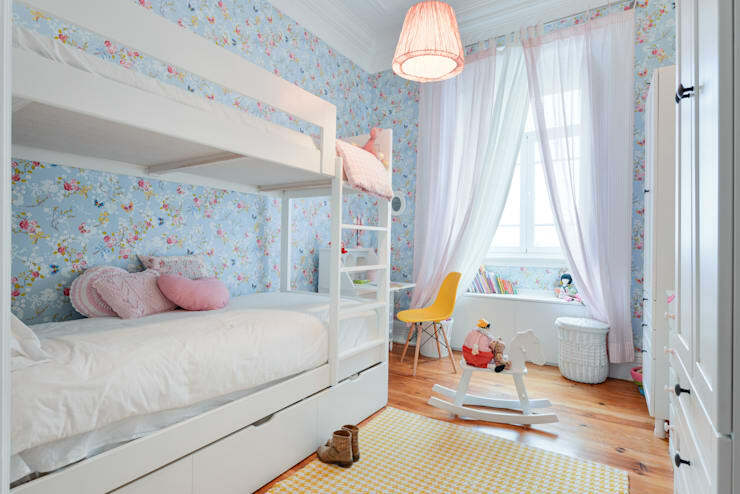 Welcome to 9 inspiring walls for a child's bedroom—enjoy! Children are notorious for scribbling on walls. But with a floor-to-ceiling blackboard, there's a chance to redirect that creative energy to the right place. This is an option that could work for older children as well. 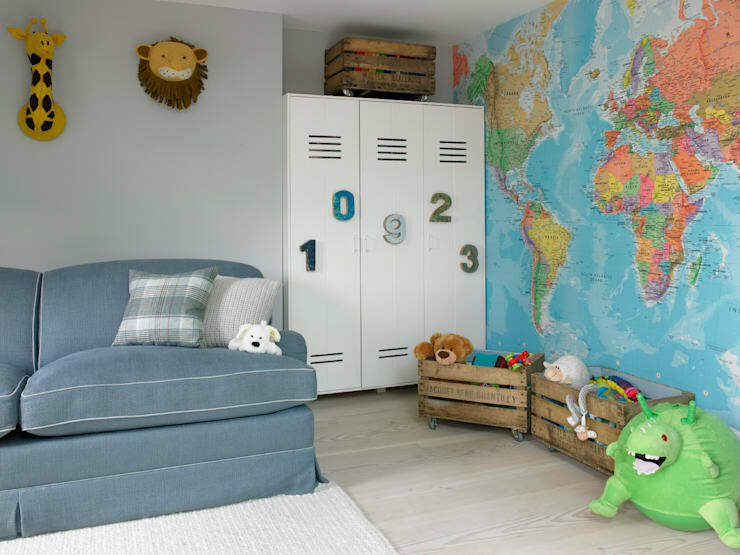 An ordinary world map can turn a child's bedroom into a place of constant learning. Curious minds will love having a large map so close to hand. It might even spark the imagination of a little explorer! 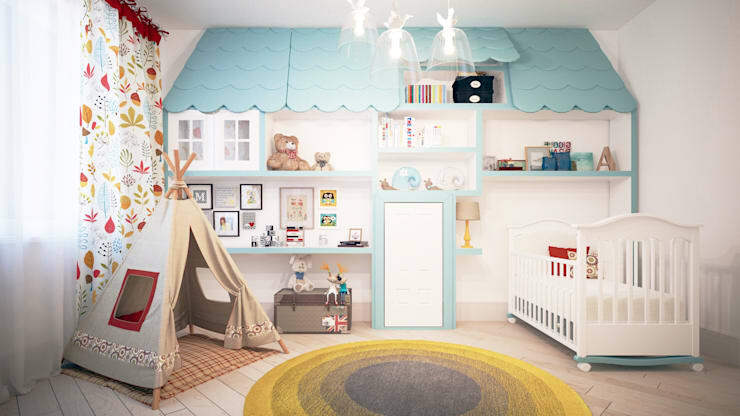 The bookshelves of this rather elaborate child's bedroom have been turned into a giant house. It has a false door that is sure to engage the children and a lovely deep shelves for toys and teddies. It come to us courtesy of interior architects Kydburo. Young children tend to just love colour—and that includes coloured pencils. This lovely decal has a lot of pizzazz, simply because of its size. The key lesson here is to think big when it comes to decals and decorations. A wall-to-ceiling whiteboard may be a little expensive to install, but large sheets of canvas are another great option. They could even be periodically replaced when it's time for a fresh start. This option is definitely one for the more serious DIY enthusiast. 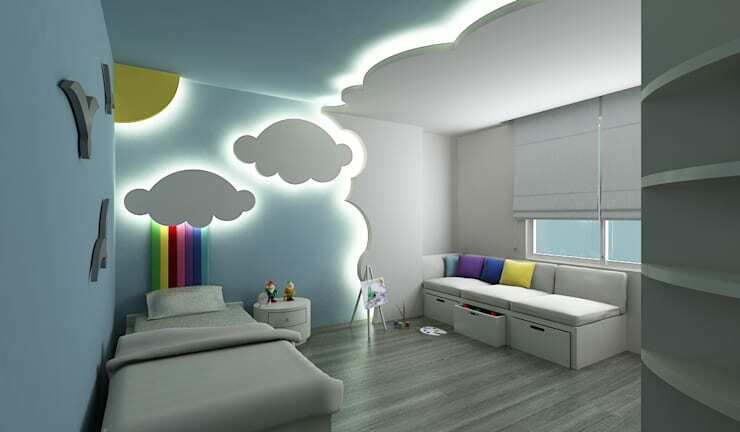 The bold protruding walls add a magical touch to this lucky child's bedroom. They also provide a spot for recessed lighting as well. Nothing quite captures the wild nature of a child's imagination like decals that run across walls and floors. 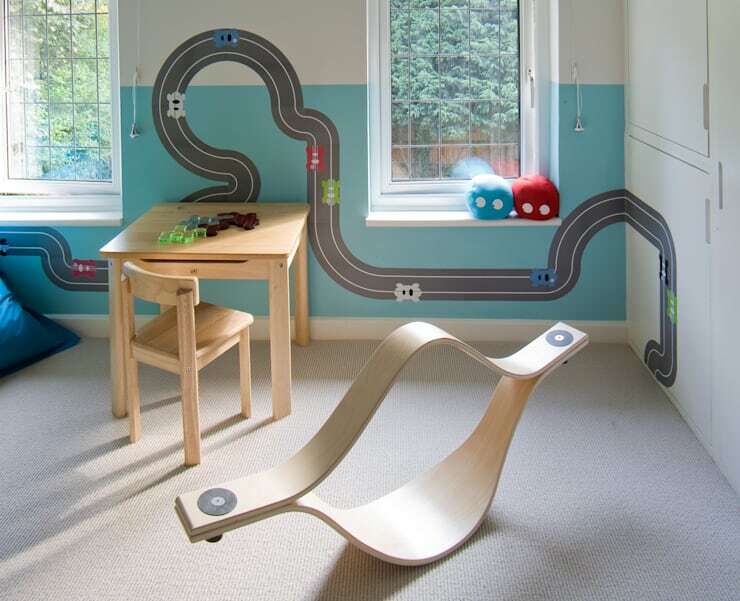 A racing track like this might suit a typical little boy who loves cars. Most parents don't like to pigeonhole their children into stereotypical roles, but there are definitely some little kids who love delicate florals. Don't hold back when it comes to choosing a size. Run the prettiest floral wallpaper you can find from top to bottom like this. 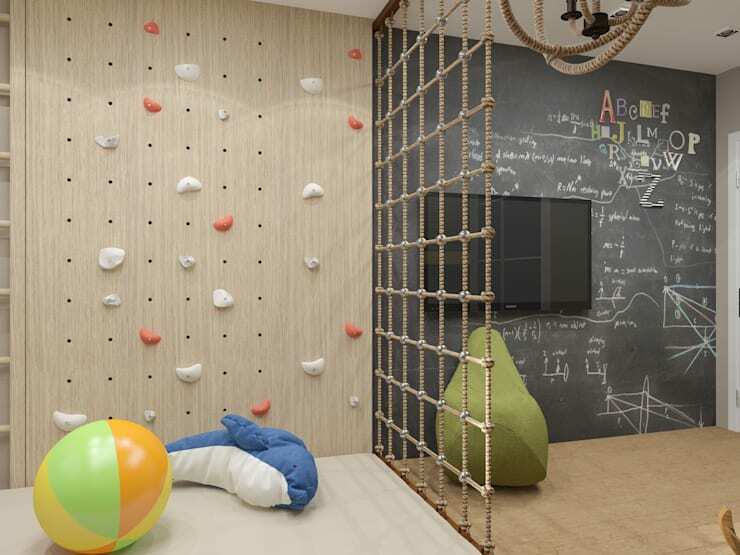 Get the children literally climbing the walls with a jungle gym and climbing wall. These are an excellent way of helping children burn off excess energy—particularly when the adults need a little down time! Every family home needs to be as peaceful as possible, so have a look at 9 simple ways to make your home more Zen. Which child's bedroom here is your favourite? Let us know in the comments field below!